Happy Friday Everyone! Today I am sharing one of my recent work which I did for a client. 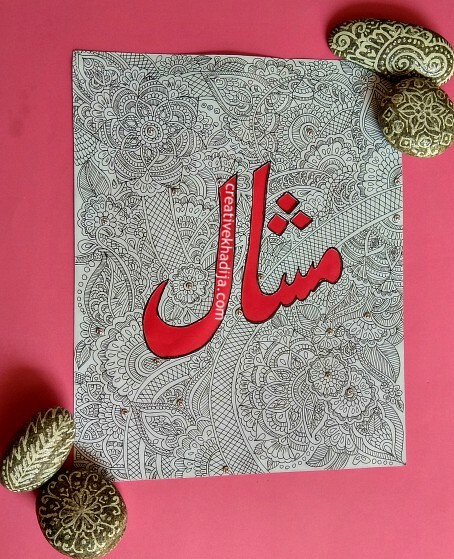 Do you remember one of my instagram post in which I share customized art work with the name Kainat. After publishing that post on my Instagram & Facebook, I got great response by my followers who asked for a similar piece of art for their family or friends. 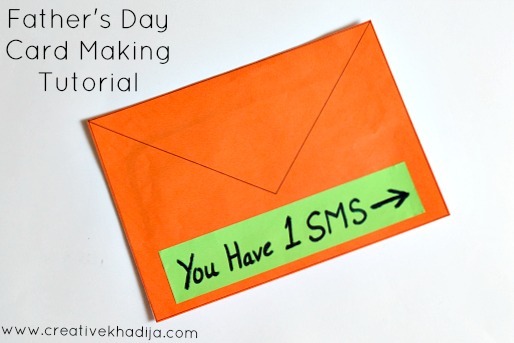 I will be sharing one of my favourite today on my blog. 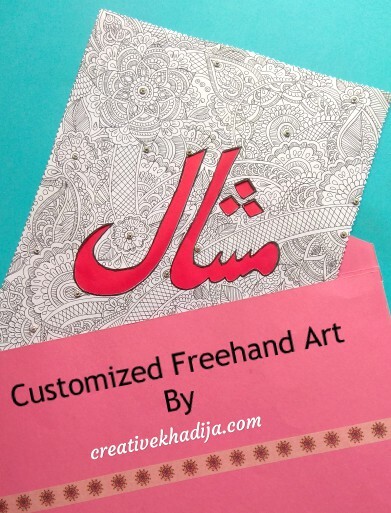 I hope you will like my customised freehand design work. 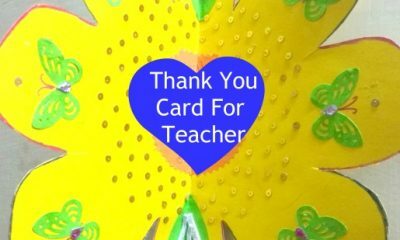 It can be a wall art or if you don’t want to frame it, you can use as a wishing card. Have a look! The girl name is Mishal, It’s written in the Urdu language. How I made it? It’s pretty simple. First I draw the calligraphy of the name. Then with the help of a sharp cutter, cut it out carefully. Next step is to draw on it. If you are not good in freehand doodles, you can first draw with a led pencil too. 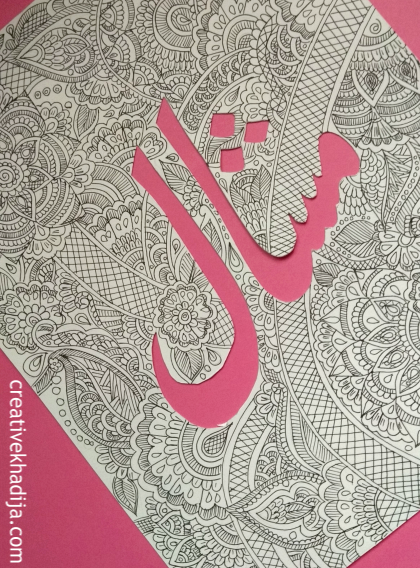 I outline the calligraphy design with marker as well. 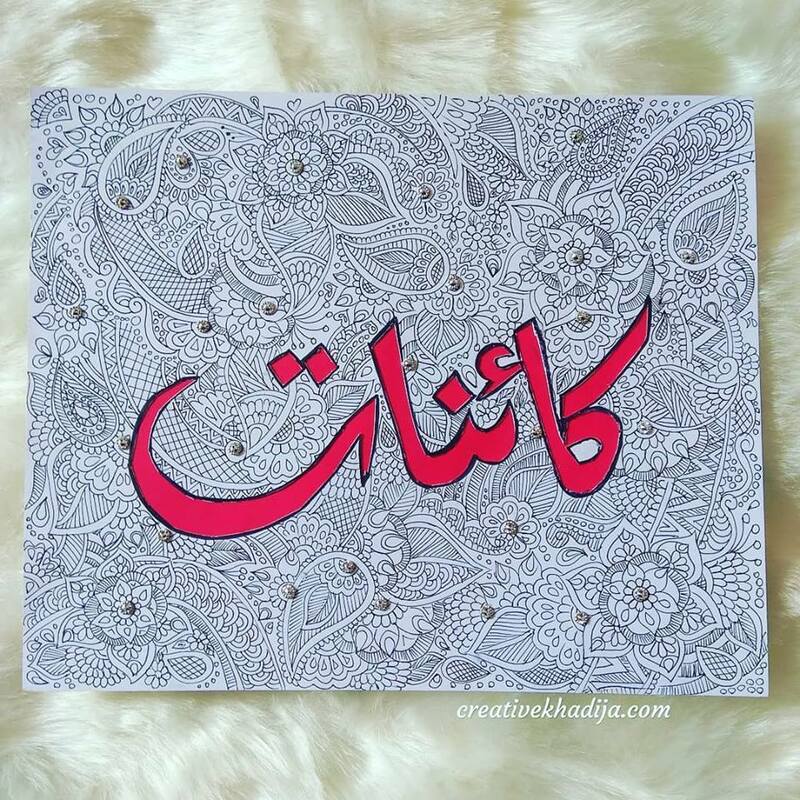 After designing it with any colour drawing or doodles, then you will need to paste a different colour sheet on the back side of the calligraphy cutting part. I also paste some rhinestones with the design. I like the black & white theme with a single colour but if you want something different, you can also add more colours in it. 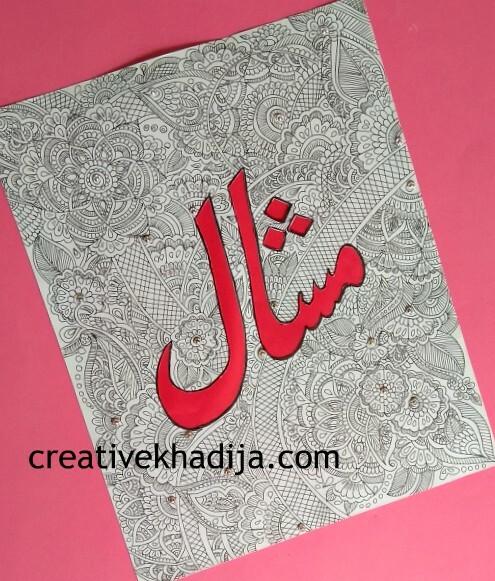 And the Customised Freehand Design Mini Wall Art is ready! If you want to frame it, I would suggest go for plain black framing! Are you not so creative to try something similar?? Okay, no need to worry about it! 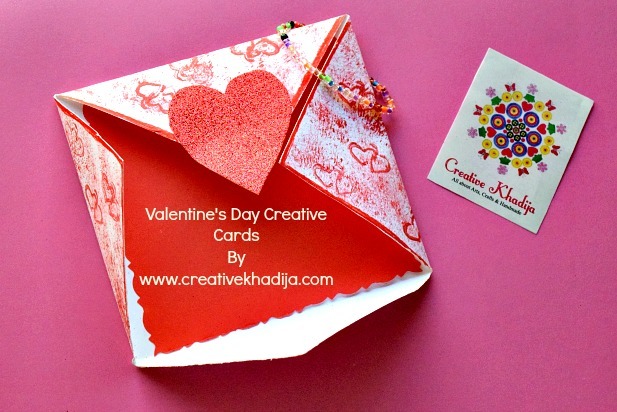 I will make it for you :) feel free to contact at creativekhadija@gmail.com so we can discuss further! 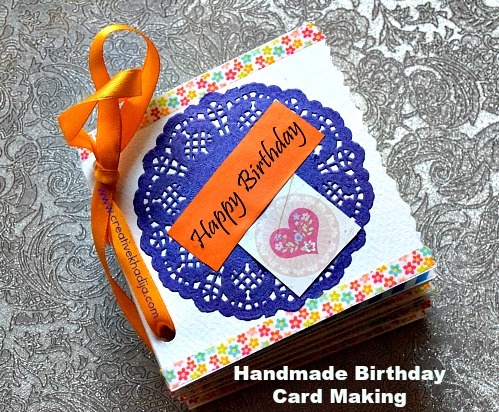 As I was not about to frame it, so I made a cute packaging of the art work as a card. 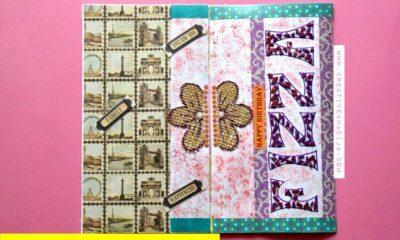 My client’s feedback was amazing on receiving the package! 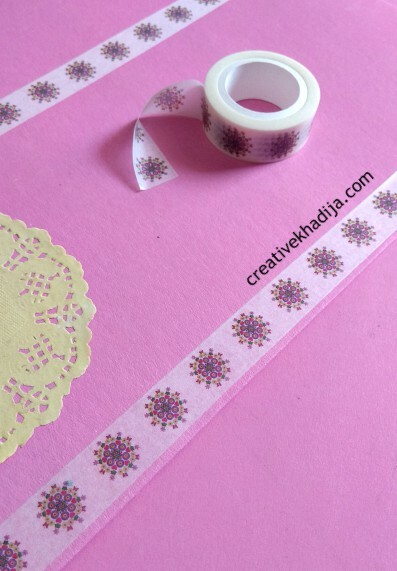 My logo printed washi tapes are always on my customers packages. Isn’t it a cute tape btw? This was my other art work I designed for a friend. She loved it too & I am so happy! 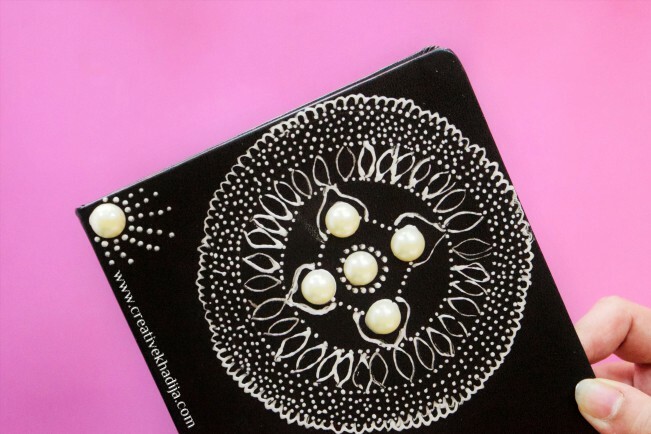 You can also check my freehand painted diary cover tutorial. 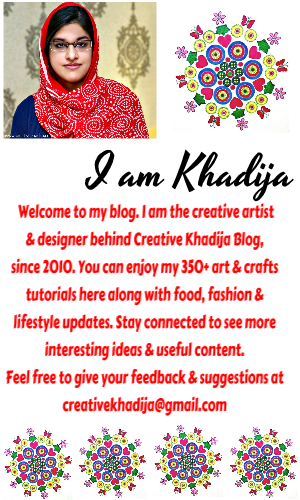 Stay tuned for more arts, fashion and lifestyle updates on Creative Khadija Blog :) Though I am a little busy these days with a new venture I just started but I will disclose soon but until then, stay tuned!